Molina Swarup Asthana is a Principal Solicitor with the Victorian Government Solicitor's Office (VGSO) has been primarily working on Major Projects for the State of Victoria. She has broad-based commercial and litigation experience and localised expertise in mergers and acquisitions. Molina's areas of expertise include commercial law, tendering and procurement and contract management. Her previous Australian experience includes working in top tier firms Minter Ellison (Mergers & Acquisitions) and Clayton Utz (Banking & Finance). She also has significant experience in the Indian jurisdiction having practiced in the Supreme Court, with law firms in the commercial area and also as an in-house counsel of a big conglomerate. Whilst practicing in India she was involved in a number of Public Interest Litigations that were reported in the national newspapers. Molina has been consulted on the drafting of the privacy laws in India and has been acknowledged as an expert in the report accompanying the draft Indian Financial Consumer Protection Code, for her assistance in the drafting of the legislation. Molina has been working on creating a link between the Indian and Australian legal communities. She has accompanied Trade Missions to India and has made submissions to DFAT on legal services in the Australia India FTA at their behest and she speaks at various forums both in India and Australia on the regulation of legal markets and FTAs. She has received awards from multiple organisations for her work as a solicitor, including the Victorian Multicultural Award for Excellence for Service Delivery Community Service 2014 and for 2016 (as Victorian Convenor of the Asian Australian Alliance). She was the winner of the Spirit of Sport Award at the India Australia Business and Community Awards 2017 and was a finalist for the Law Institute of Victoria- Access to Justice Award 2016 and the Inspirational Women of Yarra Award 2017. She was profiled in the Top 50 of the Indian Community in Melbourne in 2012, 2013 and 2014. Molina is the first Indian born on the board of the Law Institute of Victoria which is the peak body that governs the legal profession in Victoria. She is also on the Board of the Graduate House of the University of Melbourne. She is the President of the International Law Association Victorian Chapter, Deputy Chair of the Law Institute of Victoria International Law Section Committee, an office bearer of the Asian Australian Lawyer's Association, Victorian Convener of the Asian Australian Alliance, the co-chair of the Women in Business Chapter of the Australia India Business Council and also sits on the board of a few community organisations working on diverse issues facing the Asian Community. Molina speaks on SBS Hindi radio regularly on legal issues of interest to Indians living in Australia. She is a Commissioner for the AFL South East Commission and on the AFL advisory Committee for multicultural engagement. 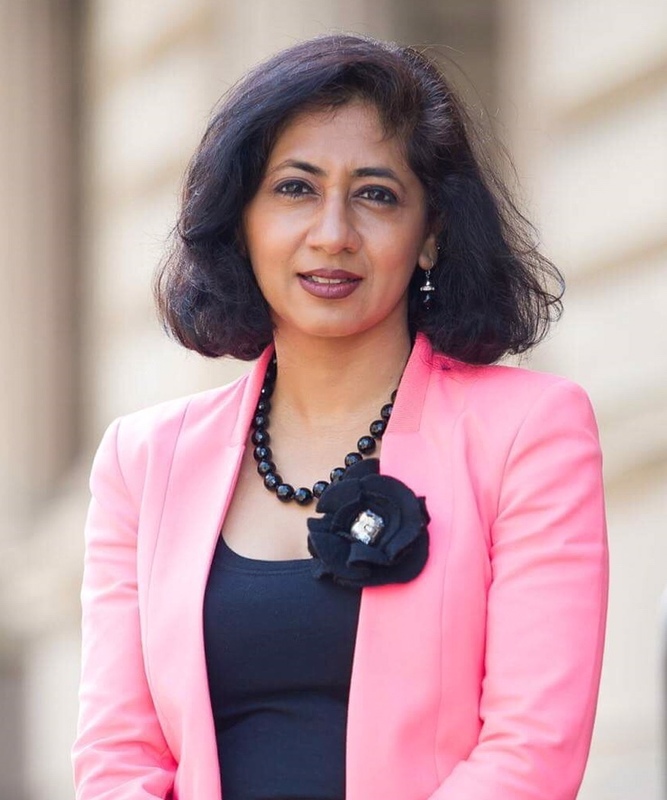 She has formed an Indian Think tank of AFL Multicultural Ambassadors for AFL's engagement with the Indian Community in Australia and with India. She was awarded the Regional Ambassador of the Year Award in 2015 and Fair Play Award in 2016 by AFL for her contribution and initiatives in promoting the game within the multicultural communities. She is also a Cricket Australia 'Sport for All' Community Ambassador and Commonwealth Games Ambassador. She is also the founder of the organisation Multicultural Women in Sport which aims to empower migrant women from multicultural backgrounds through sport. Molina is passionate about supporting and creating leadership pathways and has been mentoring young leaders at Leadership Victoria as well as junior lawyers and law students through the Asian Australian Lawyer's Association and Melbourne University.